Home › Real Estate › Buy to let or let to buy – should you let out your house? Buy to let or let to buy – should you let out your house? Do you have to move to a new location for your job? Is your firm relocating? What happens if you can’t sell your home? Sometimes owning your own home can create problems if you find that you have to move to another area. While in some regions houses are sold almost as soon as they go on the market, in other regions selling a house can be quite difficult, even if you are selling it at a reasonable price. Of course you could sell it if you put it on the market at a give-away price, but as it is probably the biggest investment in your life that really doesn’t make very much sense. One way out of this dilemma is to let out you house and take out a buy to let mortgage on it. You can use the money advanced to you on the buy to let mortgage to finance the purchase of another property in your new location. Over recent years this has become quite common, so much so that it has acquired the name “let to buy”. Suddenly discovering that you are a landlord, or landlady if you prefer, certainly casts you into a new world. You have to deal with finding tenants, getting your head round all the rules and regulations concerning tenancy agreements, dealing with emergencies such as problems with the central heating boiler, and a host of other challenges. Many people in this situation choose to use a letting agent. While doing so can take away many of the headaches of doing it all yourself, letting agents aren’t cheap. You will have to pay a fee for finding a tenant and setting up a tenancy agreement, you will have to pay them a significant percentage of the monthly rent, and if they provide any additional services such as looking after the maintenance of your property and dealing with any emergencies tour tenant might encounter, you will have to pay even more. Typically using and agent to perform all of these tasks can cost around anything from 15% to 20% (plus VAT) of your rental income and you could be charged several hundred pounds for finding you a tenant. You will also have to pay a fee for when the tenancy agreement ends. It is also important to take out the right kind of insurance. If you let out your house your existing home insurance is no longer valid. Instead you need landlord insurance. This covers you for any damage to your property in the same way as your home insurance, but it also covers you for any damage your tenants might do. Some landlord insurance policies even cover you against malicious damage caused by tenants, something that isn’t very pleasant to think about, but it can happen. If you are thinking about doing this, it needs to be fairly soon, as new EU regulations are coming in 2016 that will make let to buy significantly more difficult to do, that is if we are still in the EU by then. 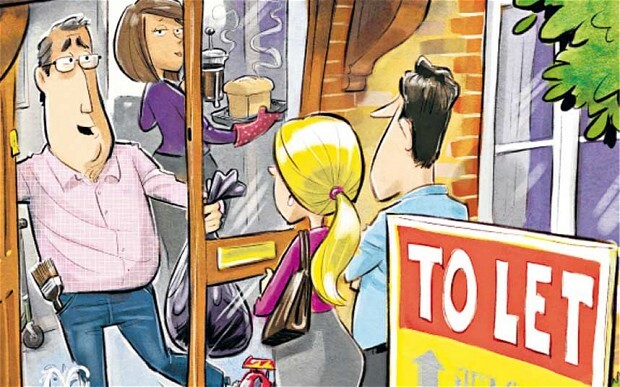 October 30, 2014 Buy to let or let to buy – should you let out your house?